Jessica Hogarth www.jessicahogarth.com: Can Graffiti be Considered a Wallcovering? When comparing graffiti with a more traditional wallcovering there are some obvious differences. 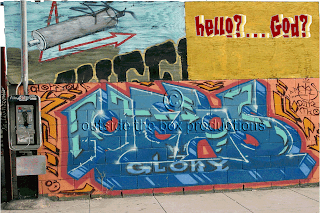 Firstly, graffiti’s natural environment is on the exterior of objects such as buildings or trains. Wallpaper however is traditionally used on the interiors of houses or public buildings such as restaurants or hotels. 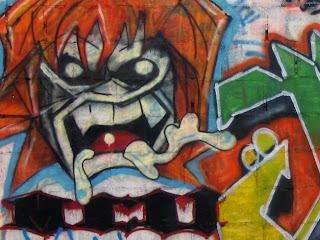 Anti graffiti laws have been established making it illegal-this was mainly due to the publics feeling of disconnection with what had been drawn or written. In contrast, wall coverings intended for the interior walls of houses are not illegal-your house is your property and no one has to see your interests and beliefs unless they enter your home for example. Graffiti is permanently on view to the public whether they wish to see it or not, where as interior wallpaper is much more private. 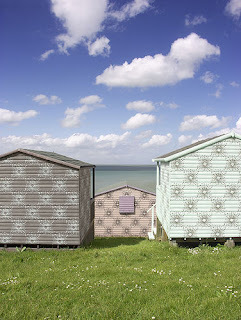 Absolute zero degrees are a design company that have covered beach huts, caravans and garages in a repeat pattern design. Repeat patterns are extremely common on interior wall coverings designs but are virtually non-existent in graffiti. All three of these buildings would be popular choices of location for graffiti artists, however their covering looks completely different. Absolute zero degree’s style would not look out of place on a wall in a house and has been designed with fairly neutral colours. This is rather aesthetically pleasing to look at and probably looks attractive to many people. However if the same beach hut had a political message sprayed onto it in paint, reactions may be very different. When considering the subject of graffiti, we have discovered there are many different areas to it. All around us there are what seems to be examples of a simple tag, to huge walls covered with elaborate pictures. 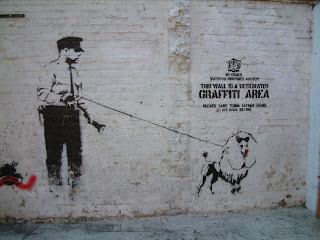 Stencil art also has its own individual look which can be seen extensively through the work of Banksy. Graffiti only appeals to a relatively small audience and this is why it was banned in the first place. Whether it is considered a wall covering or not it may be viewed as less of an eye sore if more people can relate to or gain more from it. In view of this in relation to the question: whether graffiti could be considered a wallcovering or not depends on each individuals taste. If they hate the style they will deem it as vandalism, if they appreciate what has been sprayed they may be able to consider it a wall covering. Through discussing these points amonsgst others we were able to come up with the conclusion that it is difficut to give a straightforward yes or no answer to the original question as there are so many different areas under the umbrella term graffiti. Wallcoverings are generally mass produced where as graffiti designs are more of a one off. Finally, another way to look at it is that graffiti may only become a wall covering if someone chooses to have it there aside from those who originally produce each piece. This theory is applicable to wall paper designers. 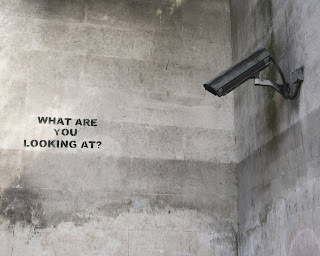 They design and make the wallpaper, but it only comes into use if someone (another member of the public) chooses to have it there, and as graffiti is illegal and does not get commissioned, perhaps this is the big difference.